Classic elegance is back in style for 2011. If you prefer to keep the traditional head table around, you can do so in style by decorating it in a way that is stylish for 2011. Make a list of colors, motifs and styles that appeal to you and then, try to find a way to unify them. Setting the table is a great place to start. “It’s fun, clean and contemporary, and It’s all about a stylized blast to the past, the return to high glamour. 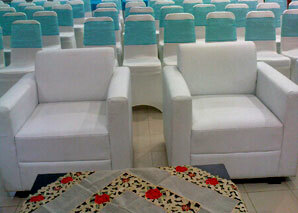 there’s no doubt that traditional colours will never go out of fashion. Chair cover black and white is perfect. Black covers can be perfect for everyday use. They do not allow dirt to be visible and they would also look elegant in a modernist home. 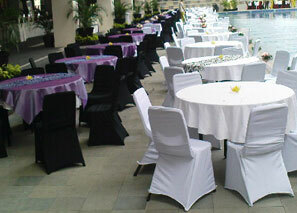 White covers are perfect for wedding parties and other special occasions. 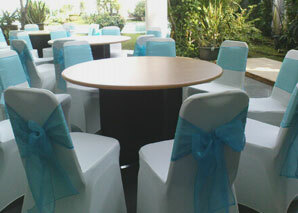 They light up the function hall in ways you can never imagine, especially if they are given a twist of style by adding chair sashes. 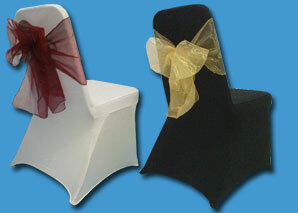 Wedding chair covers can help create something memorable.